Cashmere wool. Cashmere is goat wool! Cashmere goats come from countries New Zealand, Pakistan, Iran and Australia. But the finest cashmere come from Mongolian goats. As I mentioned the finest cashmere is produced in Inner and Outer Mongolia. Every spring an army of herders get out their combs and patiently start collecting the goat wool. The goats love it! 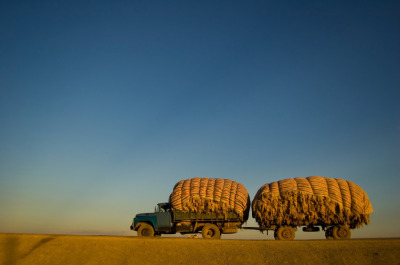 Next the Mongolian herders transport their raw cashmere to Ulaanbaatar, the capital of Mongolia, in the back of large trucks. 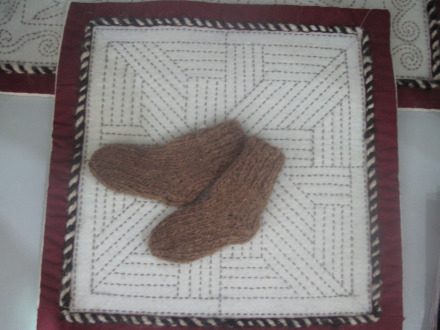 They sell them to local cashmere manufacturers and workshops such as Goyo and Gobi for 40000 tugric (2011 rate) per kilogram.